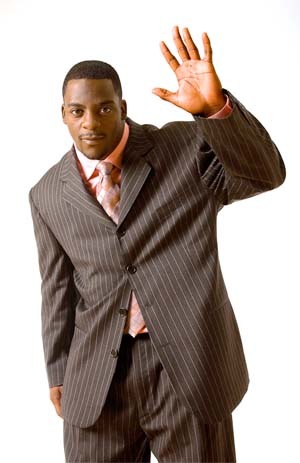 Clinton Portis was born September 1, 1981 and is a former running back in the National Football League (NFL). He was drafted by the Denver Broncos in the second round of the 2002 NFL Draft. He played college football at the University of Miami where he led his Hurricanes to the 2001 National Championship and had his best season rushing for 1,200 yards and 10 touchdowns on 220 carries. He became just the second true freshman to start at running back for Miami since the 1975 season. Portis set a school freshman record with five 100-yard performances, and led the team with 838 yards and eight touchdowns on 143 carries (5.9 avg.) in 10 games. He also caught four passes for 44 yards (11.0 avg.) and 2 touchdowns. When Portis was still a relative unknown, Lee Corso singled out Portis’s performance during a defeat by Florida State for hustling and never giving up, saying “that kid can play for me any time”. In 2001, Portis helped lead his Miami Hurricanes to the National Championship and had his best season rushing for 1,200 yards and 10 touchdowns on 220 carries (5.5 avg.). He also added 125 receiving yards. In the Rose Bowl against Nebraska, Portis ran for 104 yards and a touchdown. He also had a long touchdown reception called back on a holding call. In his rookie year with the Denver Broncos, he was named NFL Rookie of the Year. He rushed for over 1,500 yards in each of his first two seasons with the Broncos, averaging 5.5 yards per carry in that span. The latter is an NFL record for a running back’s first two seasons. 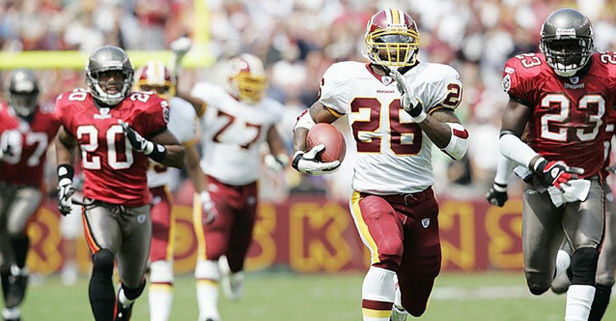 On December 12, 2002, Portis became the youngest player (21 years, 105 days) to score 4 touchdowns in a game in a 31-24 victory over the Kansas City Chiefs. 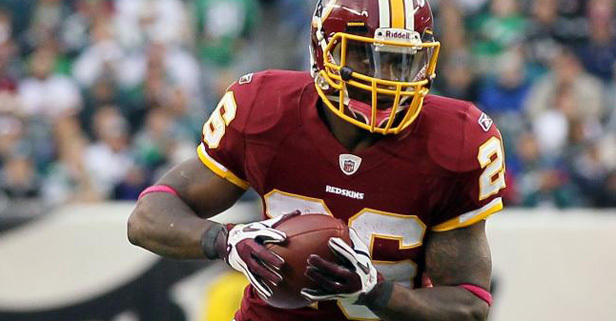 The very next season on December 7, 2003, Portis became the youngest player (22 years, 97 days) to score 5 touchdowns in a game. 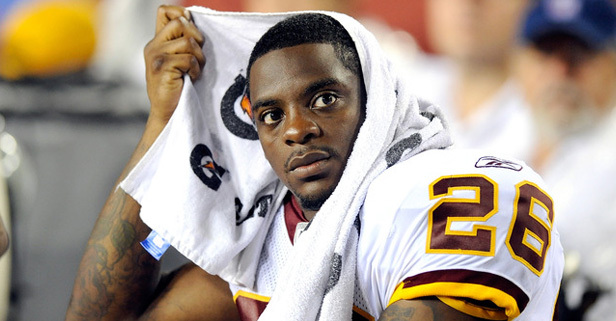 Portis is best known for being the starting running back for the Washington Redskins for seven seasons and considered one of the best Redskins in history. 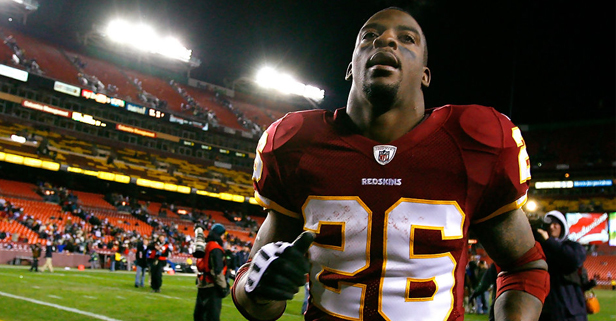 On August 21, 2012, Portis announced his retirement. He was 77 yards short of the 10,000 yards rushing mark, making him 27th all-time rusher. He officially retired on August 23 and during the press conference it was announced that he made it into the list of the 80 Greatest Redskins of All-Time. After his playing career, Clinton has been active in broadcasting with the ACC, spending quality time with his family, making corporate appearances and being active in speaking engagements. Clinton will be inducted into the UM Sports Hall of Fame on April 10th, 2014 at a ceremony in Miami.